Calgary Laserworks is all about helping people empower themselves to live a healthier, happier life …including reducing stress! Most of us have many responsibilities and worries, which if we don’t manage well, leave our emergency stress response turned “on” most of the time. The more your body’s stress system is activated, the harder it is to shut off. 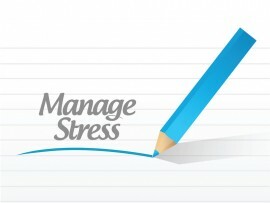 Chronic stress disrupts nearly every system in your body and can lead to serious health problems. It can raise our blood pressure, increase the risk of heart attack and stroke, and suppress our immune systems. Not to mention it can speed up the aging process, and really, who needs that?! Managing stress in our lives is all about taking charge and being in control of our thoughts, our emotions, our schedule, our environment, and the way we handle our issues. Responsibilities, worries, disappointments are inevitable, but misery is optional! Worry and anxiety are the emotions that steal our present moments and quality of life. The mind is so powerful no matter how we choose to use it and we always have a choice about the way we respond. Ready to take your life back? Jump-start your new, relaxed, centered life with low level laser therapy at Calgary Laserworks. Call at 403-301-3730 to learn more! Copyright © 2019 Calgary Laserworks. All Rights Reserved.